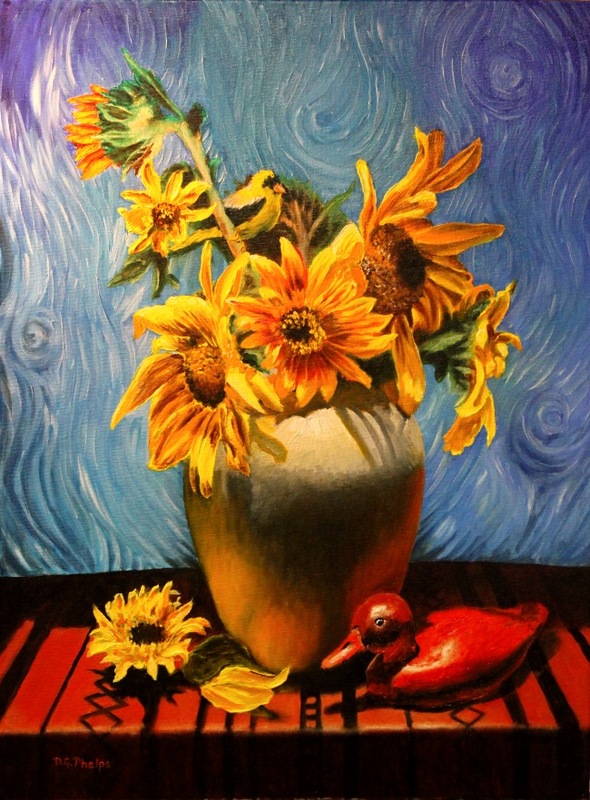 Van Gogh sunflowers demo, New studio/gallery! * Learn this, and be ready for Christmas! Wow, what a CRAZY past few weeks. 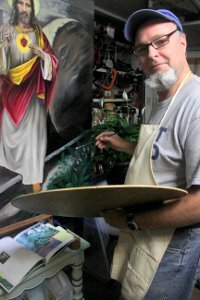 I've had a notion for quite some time that I needed to be more involved with our local art community, and, I needed more space for larger works. 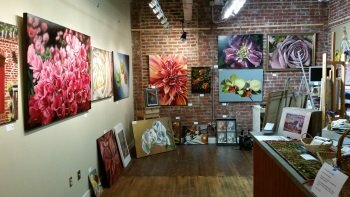 Having talked to several local artists that have had their studios away from their residence, (actually, I probably annoyed the living daylights out of some of them) peppering them with questions concerning both the finances and the time requirements. Read the rest of the story on my Fine Art Site Blog. After completing this recent painting on Van Gogh Sunflowers, I keep coming back to the fact that COLOR is the major factor in a painting. Richard Robinson has such a fantastic color guide, and he's running some Christmas sales, so do check these out. I can't tell you how many times folks send me emails concerning how this instruction has helped them paint better. Just checking out the section for "Your Paintings" that are filled with first timers really can show the power of the technique. Not many other art instruction sites do this. If you've been sitting on the fence, start painting better now! Click the image below.